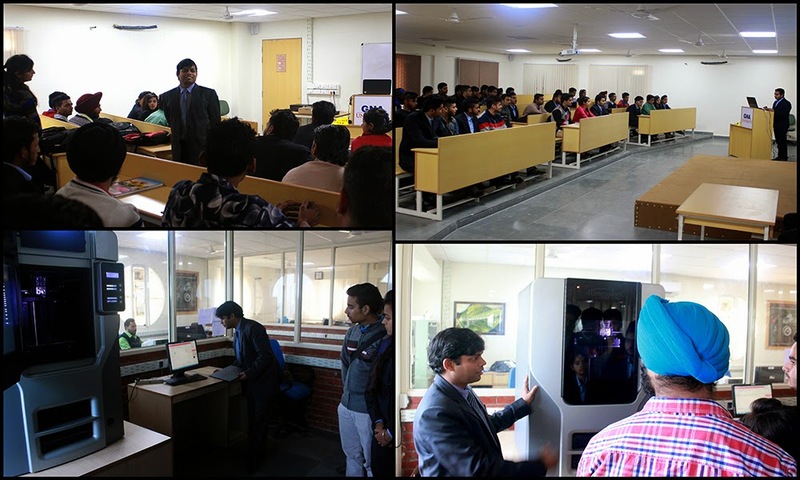 Students of Faculty of Communication & Media got Knowledge on Rapid Prototype Machine with Fused Deposition Modeling Technology (FDM) using Dimension Series Professional, 3D printer from Stratasys U.S.A by Mr. C.R Tripathy, Dean Faculty of Design & Innovation on Feb 19th 2015. 3D printing or additive Manufacturing is a process of making three dimensional solid objects from a CAD file that CAD file was developed from concept design which was given by Multimedia Designers. The creation of a 3D printed object is achieved using additive processes. In an additive process an object is created by laying down successive layers of material until the entire object is created.